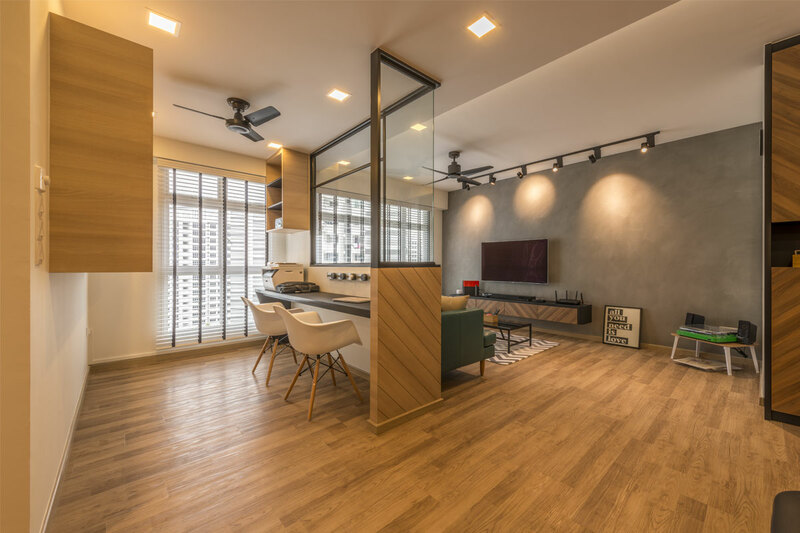 With its ability to make a compact apartment feel spacious, open concept living is becoming increasingly popular with HDB homeowners. Here’s how to make this floor plan work for your home. 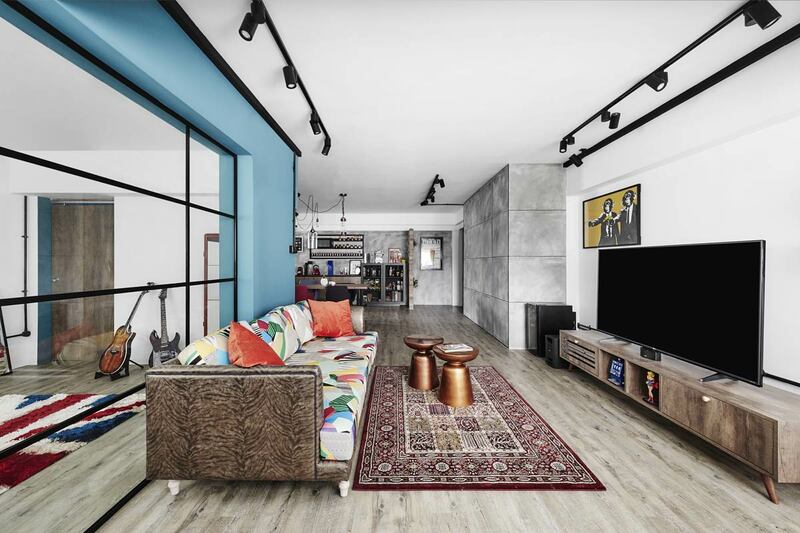 Although the trademark of having an open floor plan means that the lines between the different areas are blurred to create a spacious and unrestricted space, it is still important to have boundaries. Raising part of the home’s flooring is a good way to divide the different areas. This way, you’ll be able to enjoy the spaciousness of an open concept home while enjoying a subtle physical separation between the different functions of your home. An alternative to an elevated platform is by changing the flooring itself. While using the flooring to segregate the space is a more permanent fixture, the type of material can work wonders for your space. 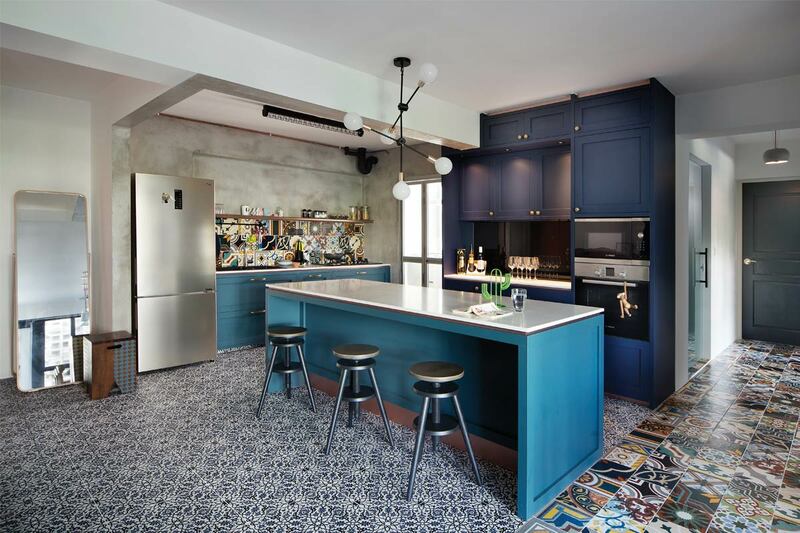 For example, choosing vinyl or tiles that come in varying motifs and colours can help a space stand out prominently in contrast to the simpler-designed tiles in another space. Even if you’re not a person who cooks often, chances are that there’ll be at least a few times where you’ll go beyond only boiling water in the kitchen. 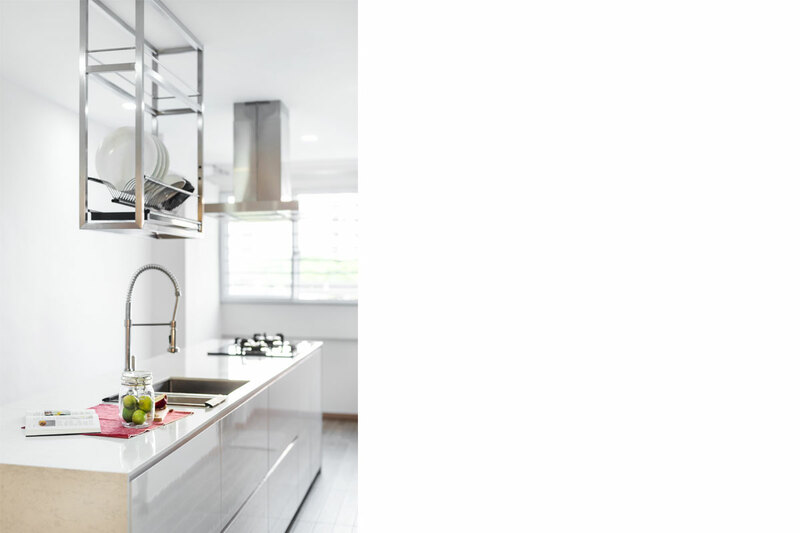 As such, you’ll need to install a range cooker hood to help reduce smells and greasy fumes when you cook. Before you decide on a hood, be sure to test out the noise levels as well, for some heavier duty options can sound like a jet engine when switched on. In the event you have the hob installed on your kitchen island, an option to explore is the retractable downdraft hood. It will function as a barrier between what’s in your pots and pans, and the living floor, all while minimising grease splatters past the island unit. Once you convert the rooms within your home into an open concept floor plan, they will share the same square footage. But just because the floor area has been expanded, it doesn’t mean that you should crowd the space with bulky furnishings. Instead, choose furniture of the streamlined variety. 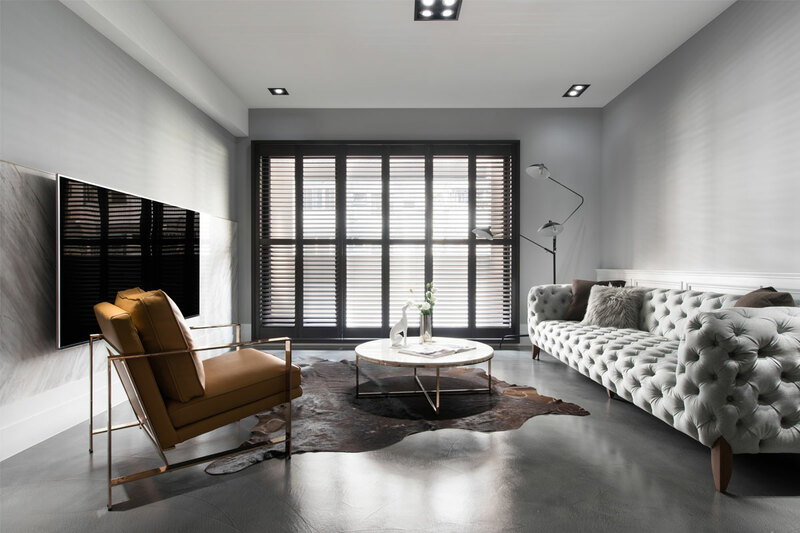 As these furnishings allow light and air to flow not just over but under and around it as well, as this will ensure that your home will maintain a spacious look. When it comes to carving out additional storage solutions in an open concept home, you will have to think out of the proverbial box. In order not to compromise the spacious layout, consider installing a customised ceiling-mounted rack above your floor fixtures to fully capitalise on the available space. Glass wall dividers can both provide privacy while retaining the sense of openness. So whether it’s between your living and kitchen areas, or your bedroom and adjoining walk-in wardrobe, demolishing your concrete walls in favour of glass partitions can help in giving your room the illusion of more space as well as aid in the maximising the amount of natural light that permeates the space. Here’s an alternative for those who don’t want a fully open concept home: a low wall topped with glass panels. Especially useful for the kitchen, this design will allow the lower opaque section to hide countertop appliances and food prep messiness from prying eyes all while providing some space to house cabinets. 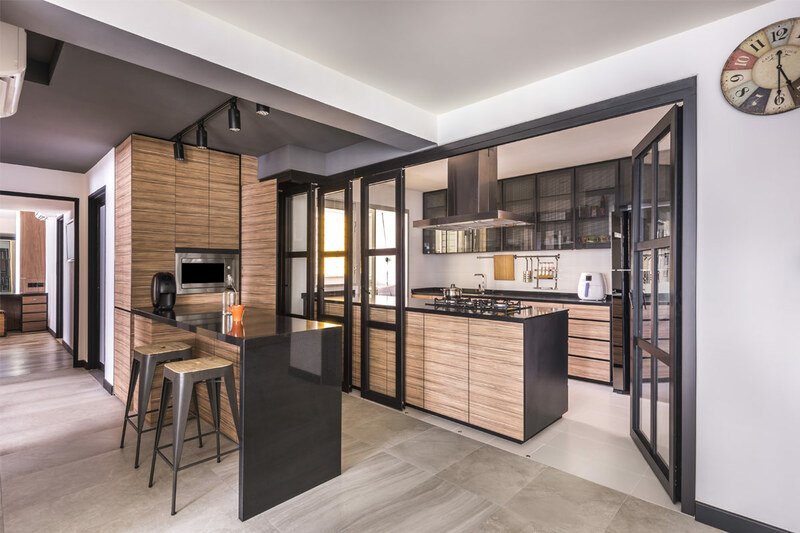 At the same time, the upper glass windows will make the kitchen feel brighter and less closed-in, while allowing you to maintain visual connectivity with your guests in the outer communal zones. In this open kitchen designed by akiHAUS, a bar counter helps to demarcate where the communal zones end and the kitchen begins. It’s a simple design but what’s unique about it is the additional functionality that the designers added in the form of glass dividers that can be easily pulled out from the hidden pocket located on an adjacent wall. 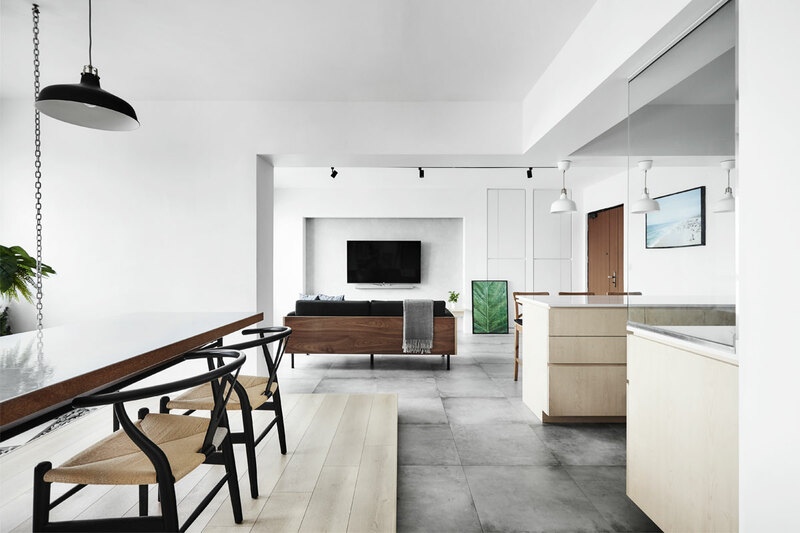 Whether for heavy cooking, or to simply retain the cool air from the air-conditioner within the communal spaces, the two zones can be easily separated without feeling visually disconnected. Unable to create a dedicated walk-in wardrobe? 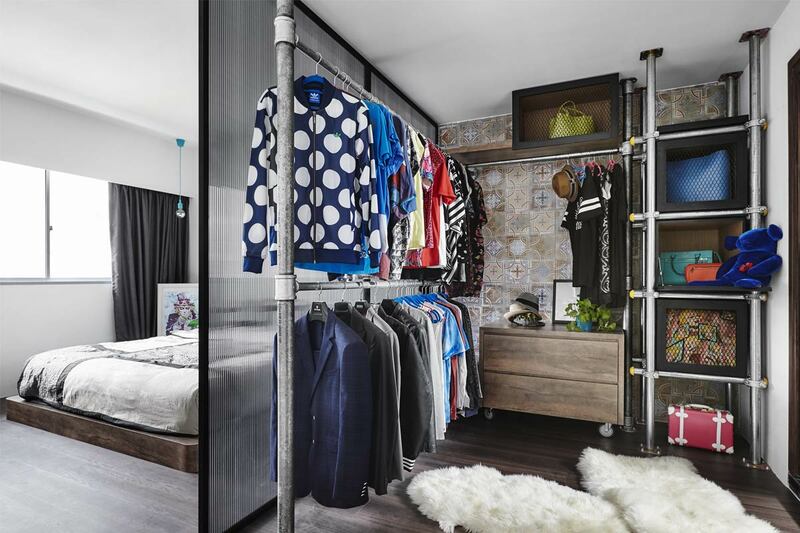 Here’s an easy solution: create a split wardrobe within your bedroom. 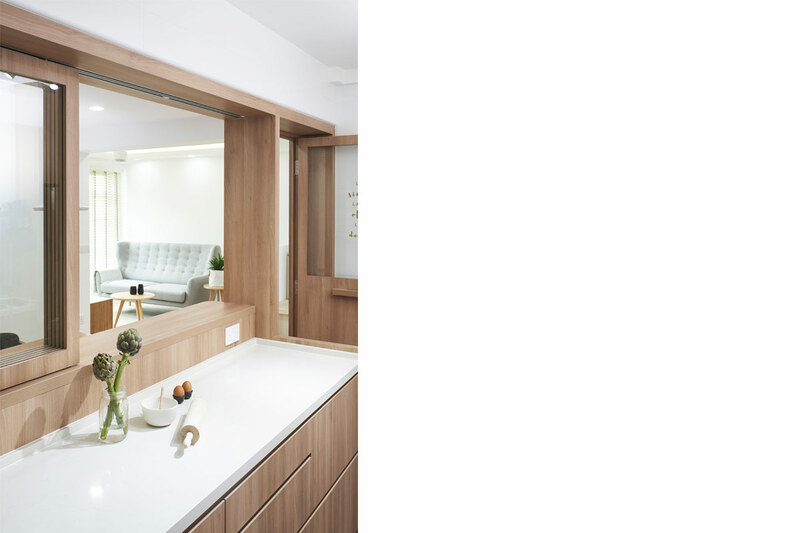 Like this space designed by Poetus, the snug walk-in wardrobe was separated from the sleeping quarters by a dark-tinted polycarbonate screen that still allows natural light to penetrate through, preventing the newly carved out space from feeling claustrophobic. If you have a spare unused bedroom, it might be time to think flexible. Just like this home, a bedroom originally located behind the living room was converted into a quaint home office. With one side of the wall completely torn down, and with the upper half of the remaining wall converted into glass panels, the room can be easily switched from the home office into an extended living area for when the owners are hosting house parties.